The flag carrier of the Republic of Uzbekistan, Uzbekistan Airways becomes the 66th operator of the Boeing 787. It has another 787-8 on order. 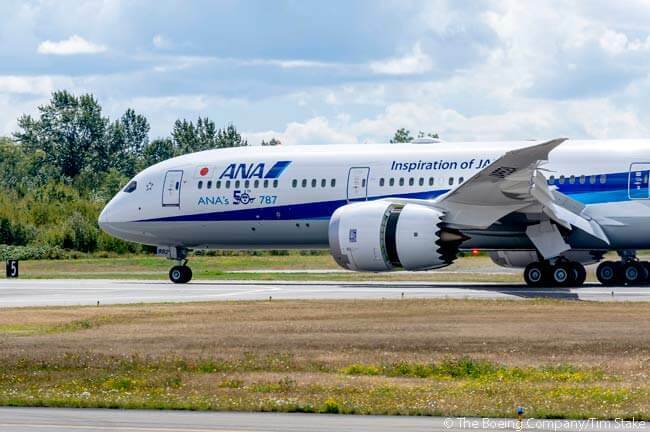 The milestone means ANA becomes the world’s first airline to operate 50 Boeing 787 Dreamliners. 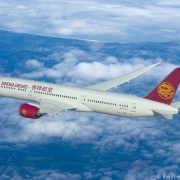 The national flag carrier is the first airline in China to have a 787-9 enter into service. The first of two Boeing 787-8s ordered by Air Austral in 2015 will touch down at Roland Garros Airport in Saint-Marie on La Réunion on May 25, following a 10,500-mile (16,898-kilometer) delivery flight, via Paris, from Paine Field in Everett, Washington. According to Boeing, China Eastern plans to operate its new 787-9s on routes linking China with North America and Europe, bolstering its competitiveness in the international long-haul market. DOT Gives Tentative Approval for Norwegian’s Irish Unit to Serve the U.S.
Norwegian Group’s Irish subsidiary has been blocked for years from obtaining approval to serve the U.S. from Europe by protectionist lobbying by transatlantic airline joint ventures among U.S. and European Union-based carriers. Ethiopian Airlines will launch three-times-weekly scheduled service to Newark Liberty International Airport from Addis Ababa, via Lomé in Togo, on July 3. Ethiopian had announced in January that it would resume service to the New York metropolitan area in July but said it planned to serve New York JFK. Air Europa has leased its first Boeing 787, a 787-8, from SMBC Aviation Capital. The March 15 delivery is also the first Dreamliner for SMBC Aviation Capital. United Airlines has placed a new order for 25 Boeing 737-700s, in addition to its January 21 order for 40 of the type. It also will convert 787 orders originally anticipated for delivery in 2020 and beyond into orders for four 777-300ERs and five 787-9s, for delivery beginning in 2017. Saudia is no stranger to multiple deliveries, according to Boeing: in December 1999, the manufacturer delivered three 777s to the carrier. The detailed-design completion milestone is critical to every development program because it means the information needed to build parts and tools for assembly has been completed and released for fabrication or procurement, according to Boeing. Boeing has announced sizable aircraft orders from two Asian customers, one an airline and the other a leasing company. 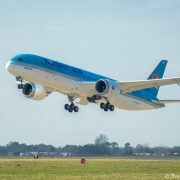 KLM Royal Dutch Airlines has taken delivery of its first Boeing 787-9, which the Dutch flag carrier has acquired on lease through leasing company AerCap. Norwegian Air Shuttle has finalized an order for 19 Boeing 787-9 Dreamliners and has taken options on 10 more. United Airlines plans to add daily transatlantic summer-season service on May 25 between Newark and Athens, Washington Dulles and Barcelona and Washington Dulles and Lisbon. If approved, the seasonal service would be the first transpacific service to Xi’an operated by any airline, and United Airlines would be the first U.S. carrier to serve the city, according to United. Japan Airlines, which has served Dallas/Fort Worth from Tokyo’s Narita International Airport in the past, is relaunching service on the route on November 30.